Working on a game, art book or something of the sort? Developing creative tools? Or maybe you just like to write articles about art and design. In any case - welcome home! Our mission is to help you develop projects and promote them to potential customers and/or investors. We want to encourage you to team up with other members of this community, submit articles, promote your services and to join TGW challenges. This isn't just another website for artists (or developers) who just want to show their work to colleagues. This website was built to help you develop your projects easier. If you're a company with an ample budget, then this might not be the right place for you. But, if you're a solo player or a small indie team, you might find TGW useful. We rely on the power of community that we have built through several other projects in the last 15 years, like IFCC Croatia. All of our projects started with a $0 budget. It is very important to remember that. Yes, we'll try to help you find the investor for your projects but we'll also try to help you fund it yourself if possible. And in many situations, it is. We'll help you (to help us to) bring your Project to life. Sounds silly? Well - it's not. Now is the time to implement our experience and knowledge into something that will help you and others who have enough motivation to develop their ideas into final product. We want to invest into solutions that will help you develop and promote your projects. We can only do this with your help. That's why we're not only inviting you to join as a supporter, but as an active member of this website. Your opinion is important. Your input is valuable. There are some rules, nevertheless the bottom line is that you can engage in any way you like. As a community we can make a difference. Even if you don't want to develop your own Project you might think about supporting others who do. The Game Workshop is structured as a membership website. Before you continue please keep in mind that the creators of The Game Workshop are also paying members. You can say we practice what we preach. If we have started TGW 10 years ago, when we were younger and more atractive, it would probably be free-4-all project, and in a year or two it would be dead. Just like with any other Boonika project, we don't want help from a strong sponsor bacuse we don't want to become spoiled and lazy. We need community support so we can give back to it - at least twice as much. There are several types of membership including the free membership option. It's actually a project where the crowdfunding campaign never ends. We hope. All the money collected will be spent on tools and people who make sure things work the way they do. As a supporter and contributor you will be able to use this website the way it suits you best. Announce your projects, tutorials, courses, digital downloads or whatever you can think of and we'll help you to promote your activity through the newsletter, social media and other channels. Most importantly, we want you to be part of a like-minded but versatile group of thinkers and creatives. The whole point is to bring everyone together to work on your or anybody's project. To move forward together, as a community. Think of The Game Workshop as your creative playground. It's a place to promote your projects, learn new skills, write articles, pass on knowledge to others and submit work for future challenges. With it, we want to build a small but effective community representing how we believe artists and designers should collaborate and assess their work. As a member of The Game Workshop community you will get the chance to prove yourself, to yourself, while The Game team is there to support you. For now, TGW (The Game Workshop) is a private, invite-only community. It’s an online place where friends and colleagues meet and share their creative experiments with those who follow their work and those who want to learn something new. TGW is yet another Boonika project, created by artists for artists. It was founded by two Boonar Studio members – Marko Prpic Zets and Tom Paul. Boonika/Boonar team also organizes live educational events such as the IFCC festival. With the help of other contributors this website might make a difference for all of those who enjoy participating in art & design processes. TGW is all about live and online education. You’ll get the chance to learn from others and maybe even teach others. TGW is also about sharing experience, helping out those who know less and promoting those who know more. 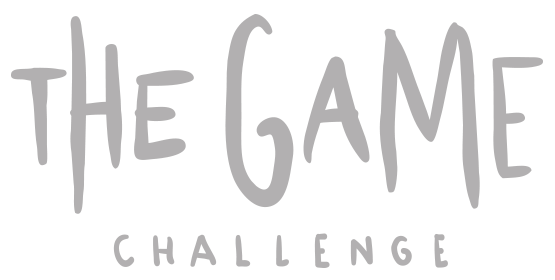 You are invited to join other TGW activities like TGC (The Game Challenge) and live TGW workshops.